Ryan Mitchell wrote a fascinating piece for The Diplomat entitled “Is ‘China’s Machiavelli’ Now its Most Important Philosopher?,” outlining the role the ancient philosopher Han Feizi plays in shaping President Xi Jinping’s political agenda. For example, Xi Jinping quoted Han Feizi’s dictum “when those who uphold the law are strong, the state is strong. When they are weak, the state is weak” to justify his tough anti-corruption campaign and his allegedly more authoritarian style of government. Xi Jinping’s quote of Han Feizi was subsequently reprinted thousands of times in state-owned and party-controlled media outlets. Xi’s citation of Han Feizi is an instance of ruling political men relying on and defending their actions per the authority of recognized political thinkers. It is curious to me the way in which public figures use philosophical elites to empower and elevate, or at least attempt to justify, controversial praxis and principle. It provides them with a mantle of legitimacy by continuing an apparent tradition already established a long time ago. Mitchell also seems to indicate that Han Feizi’s ambiguous reputation is analogous to the controversial rap on Machiavelli in the West. 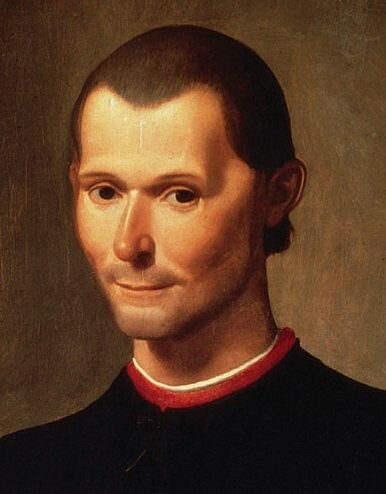 What I found interesting to ponder over is the public reaction if a European or American president cited Machiavelli in a speech (e.g., “Politics have no relations to morals,” or “Men should be either treated generously or destroyed, because they take revenge for slight injuries – for heavy ones they cannot.”). Of course, there are ontological and philosophical differences between Machiavelli and Han Feizi and their respective philosophies, and any quote, by definition, is taken out of context, which is especially problematic for philosophical texts. “Beating and ill-using” chance is the foundation of any radical political reform and has openly been part of Chinese political tradition if one studies writings from Han Feizi to Mao Zedong. The big question to ask is what is in the water in China that allows a world leader to cite an evidently infamous or, at least, somewhat disreputable source to defend authoritarian policy? I believe Mitchell’s essay calls for a greater understanding of Han Feizi and his relative status in the popular and pundit thinking in China. There’s an interesting study there regarding the use of philosophical (and/or ancient) intellectual reputation to defend political behavior and the perhaps unique cultural applications of this practice in China regarding Han Feizi. In all, Xi’s ideological moves seem to share just one core feature: giving himself room to maneuver more freely.